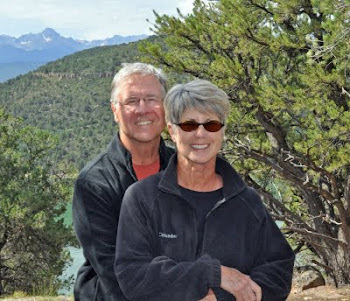 Find us on Google+ Rick and JoAnne's RV Travels: June 22, 2010 Tuesday Discovery! What beauty we found in the middle of the forests and beaches - Once the grand estate of pioneer timber baron Louis Simpson, Shore Acres Botanical Gardens. It features lushly planted gardens with plants and flowers from all over the world. Something is in bloom almost every day of the year. Rick, Lois and I walked around these beautiful gardens. Rick and Lois decided to hike back to camp along the ocean front trail back to our camp site. Hal had taken a pass on this adventure and went for a massage, and Rita and Jack drove up north about 80 miles to see a cave and sea lions. I opted to go back to camp and do some blogging. Being without Internet connections can make uploading on a daily basis frustrating!